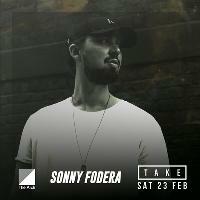 Following a short hiatus, we're thrilled to return to a place we call home...On Saturday 23rd February we are back at The Arch with one of the most in demand DJs of the moment topping the bill, Sonny Fodera. With a supporting cast of residents & close guests this will be one of our biggest Brighton opening parties to date. Limited early bird tickets are available now. After nearly a decade since his first release at the age of 23, Australian born Sonny Fodera has created his own brand of groove driven and emotive of house music that now resonates with loyal fans around the world. Over the years Sonny has collaborated with the likes of Cajmere / Green Velvet, Doorly, Janai, Yasmin, Alex Mills and Chicago house staples Dajae and Gene Farris. Continuing his collaborative spirit, Sonny has released tracks on some of the greatest imprints in the scene including; Dirybird, Defected, Cajual, Suara, Visionquest & Repopulate Mars, while establishing his own formidable label Solotoko. His masterful mixing in the booth and renowned DJ sets have lead to sold out tours in the UK and N. America, Ibiza residencies, club shows across the globe and countless major festival performances. His standout remixes and original material have achieved more than a dozen top tens in the Beatport charts, proving that he is very much shaping the landscape for fans and DJs alike.